I am a huge fan of John Travolta. Back in college, I used to hurry home after school to catch the sitcom Welcome Back Kotter where he played the yummy role of Vinnie Barbarino. I loved him in Saturday Night Fever but my reel love affair with him really took off from that little known movie titled Boy in the Plastic Bubble. True, he had a string of movie flops but! I was ever his loyal-unwavering fan. When at 6:30 a.m. on January 4 my friend mistakenly texted me that John Travolta died of a heart attack, I thought I'd have one too. No! It can't be. Vinnie Barbarino is invincible! I hurriedly turned on my computer to search for the truth. I was relieved that John was not dead but I was saddened that it was his son Jett who passed away. Speculations abound as to the who the "real" Jett was. Autistic? Afflicted with KS? Prone to seizure? I guess these do not matter anymore. 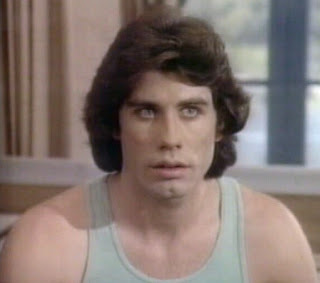 Jett Travolta is gone and has left his parents and sister inconsolable with grief. To the Travoltas, may you find peace and comfort in your grief. I got the news from AOL and you'll be shocked on how many people would throw nasty comments just because John is a movie star. I hope they find peace. renz: pero you know, the death is quite mysterious for me. 1st: jett has 24/7 nanny. 2nd: jett was last seen going in the bathroom thursday night tapos nakita friday at 10 am. whatever happened in between those hours? where was the nanny?